On 12th July, Mr Xifeng Wu, the director of the Jiangxi province wall material reform office ,Mr. Tianyin Yu, the director of Fujian province bulk office, and a number of building materials enterprises in Jiangxi province visited S.L Machinery. 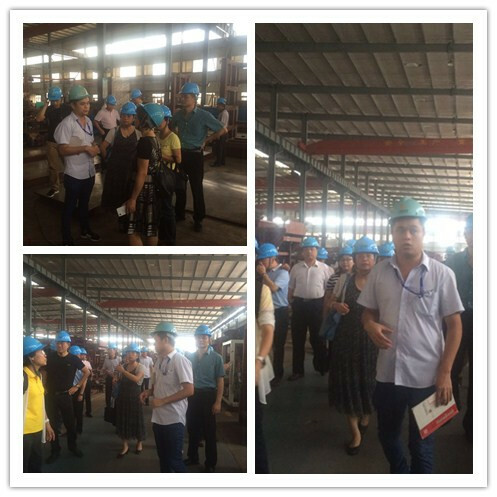 On 13th July, the researcher of Guangxi province wall reform office Mr. Yongzhen Qiu, the director of Fujian province new material office Pingping Lin, and the director of Quanzhou city new material and bulk office Mr. Zhimou Du visited S.L Machinery. S.L Machinery’s chairman Mr. Junyuan Fu and marketing director Wenhua Huang warmly received the leaders. Chairman Fu reported the new achievements made in the construction of new material in recent years in meeting room. 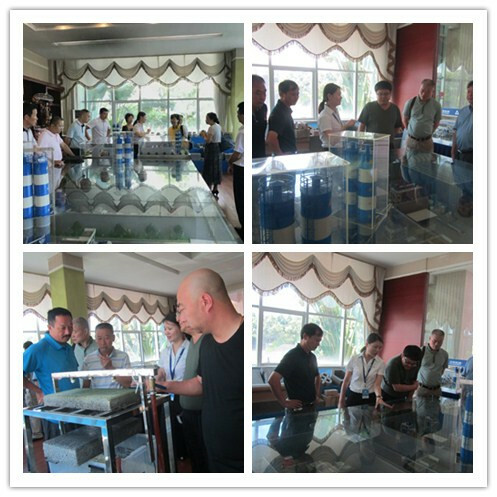 The leaders gave full affirmation and high praise to S.L Machinery, especially after learning of S.L Machinery’s achievement, combined with national new material policy, on new material in the field of mature brick equipment technology, self innovation, breakthrough innovation automatic standardized production of lightweight wall panel and foam concrete block/panel and other new products. Director Huang accompanied the leaders to visit our exhibition hall, and explain in details the various main production line and its operation mechanism. 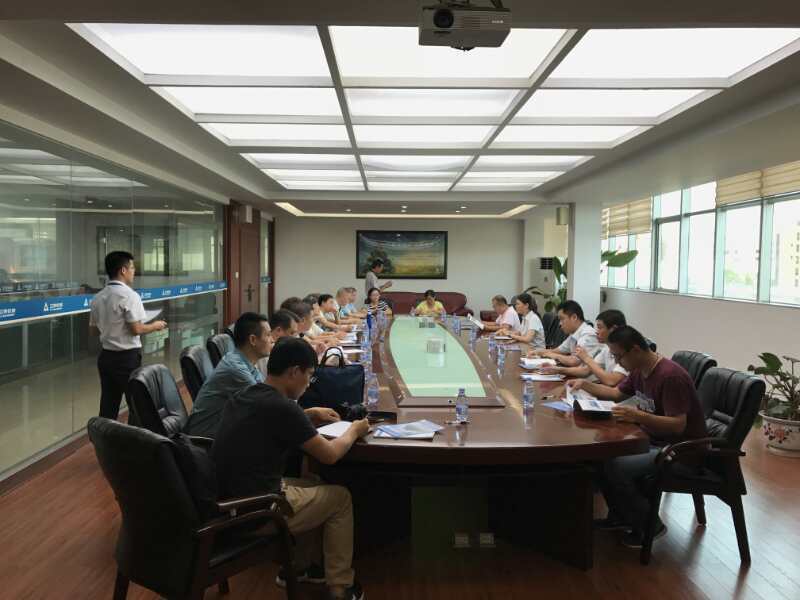 The leaders have shown great interest in the operation of various production line , and have conducted in-depth exchanges and commendation with Director Huang. Next, leaders visited workshop with our technical department manger. 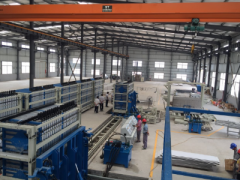 It is reported that our independent research and development of lightweight wall panel production light automation and stable performance win the unanimously praise at home and abroad. The wall panel with the characters of solid, lightweight, thin body, high strength, impact resistance, strong hanging force, heat insulation, sound insulation, fire performance, water proof, easy cutting, it can be arbitrary slot and does not need to plaster, dry work, environment protection, and It is better than other wall materials, it is a new breakthrough reform of the wall materials, therefore our company was awarded the first batch of major technical equipment in Fujian province in the 2017. Foam concrete block/panel is our another new product recently, the main product materials are cement, fly-ash and foaming agent, it adopts physical foaming, without harmful substances and without smell in the process of producing. There is no any decomposition in the application process, green environment. The foaming agent is neutral, not containing benzene, formaldehyde and other harmful substances, it avoids the environmental pollution and fire hazard. 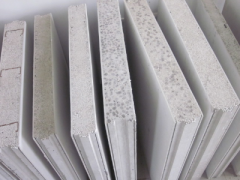 Due to the less density, it can reduce the pressure onto structure building foundation , and it can be adopted to both inside and outside the building, floor, walls, level pillar structure, beams, columns, and it can cut down the cost of building materials engineering, it has remarkable economic benefit to greatly reduce the quantity and shorten the construction period. In addition, foam concrete block/panel also has the advantages of good fire proof performance, excellent anti-seismic performance and excellent thermal insulation performance. The leaders expressed their appreciation and praise for SL machinery’s positive response to the state’s efforts to encourage the development of new wall material policies and S.L Machinery dedicated to global environmental protection. 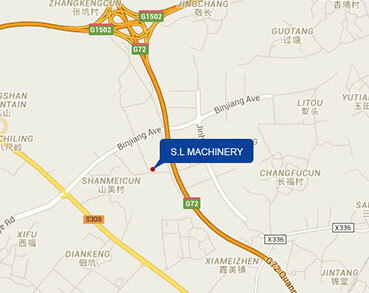 S.L Machinery has been continuously reform and innovation, practical work attitude, get all the outstanding achievements in the field of industry and honor, and prospect for the future development planning, met with the approval of the leaders deeply. 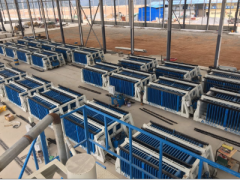 S.L Machinery will also live up to leader’s expectation, on the way of new wall materials innovation, continue to develop more and better energy conservation and environmental protection products, to meet the demand of the continuous upgrading of new building materials. 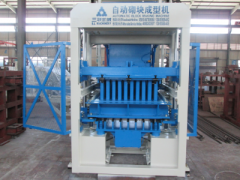 S.L Machinery ‘s main product: block making machine, compound lightweight wall panel machine, concrete mixing plant, and asphalt mixing plant are exported to hundreds of countries and regions in the world.